Skelmersdale Police are appealing for information after a woman was robbed in Skelmersdale. The robbery happened between 11.50am and 12.10pm on Tuesday, August 8 when the victim, a 32 year old woman, was walking to the Concourse shopping centre with her son along a footpath between Polaris pub and Highwayman pub next to St Francis School field in Blakehall. She was approached from behind by a man riding a bike. He snatched her bag from her shoulder which caused the victim to fall to the floor. He made off towards Blythewood. The man is described as white, 5ft 6in tall, slim build with long curly mousey blonde hair. He was wearing a grey waterproof coat, dark trousers and a dark coloured cap. 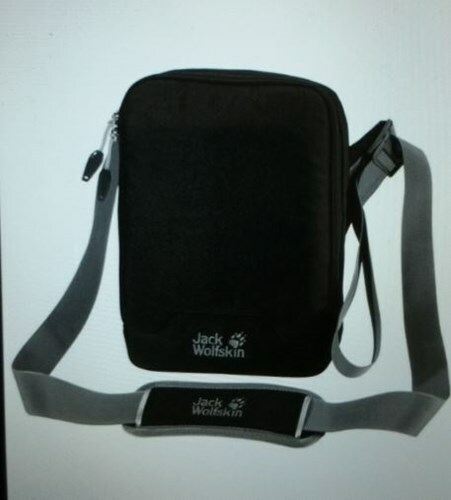 The stolen bag was a black Jack Wolfskin satchel (similar to the one pictured) which contained a pale pink purse with £180 in cash and bank cards inside. Anyone with information can contact police on 101 quoting crime reference SB1703452.